The best way to create terrible e-Learning is to dump content in an authoring tool (as if it was PowerPoint) add some questions and call it a course. Everybody knows (or should know) that learning development starts with defining clear learning objectives. This blog post precedes the course and tool to explain to you the basics on how to create good learning objectives. In easygenerator’s new web edition, it is impossible to create content without an associated learning objective. Easygenerator is the only e-Learning authoring software that works this way. However, we discovered a problem: If you create bad learning objectives – that aren’t measurable –you will get equally bad courses. To solve this problem, easygenerator is developing an eLearning course that will instruct you on how to create great learning objectives. Additionally, easygenerator will build a tool within easygenerator that will support authors to develop proper learning objectives. Who are the learners completing this course? What do you want them to be able to do after completing the course? What must the learner understand to be able to do it? By answering these questions, you will be developing the course’s learning objectives. Before you can define learning objectives you need to identify what levels of learning you want learners to achieve. 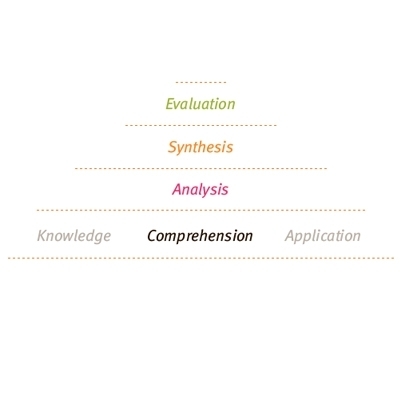 The standard for this is Bloom’s taxonomy, which has 6 levels of learning. Remembering recall or remember the information? Understanding explain the ideas or concepts? Applying use the information in a new way? Analyzing distinguish between the different parts? Evaluating justify a stand or decision? Creating create something new (ideas/products) based on the acquired knowledge of skills? Which level of learning do you need? When reviewing the average eLearning courses, a large percentage will be at the Remembering or Understanding levels, which isn’t necessarily good. In most instances, a course needs a mix of levels dependent on what you want to achieve and the learner to learn. Before an individual is willing to learn something new, you have to motivate them. In this case, analyzing and evaluating the shortcomings of ADDIE would be a nice angle. This means the learning objectives will be on several levels. Analyzing -- the process to identify where improvements can be made -- and Evaluating – outlining why it does or doesn’t support what you need to do, and Understanding – so the learner can explain the value of changing to a new process. Providing learners with insight into current behaviors and why they need to change, or how a new process can help make doing something better, helps prepare learners for change. When individuals understand why they need to change, you can begin to teach them something new. In this case, you’ll be explaining the foundation of the new approach to help them understand how it works and why it works. This means learning objectives will include Understanding and Remembering levels. In this example, the goal is to use a new methodology in the workplace, so the final stage will be Applying. Learners need to be able to apply what they learn in their day-to-day work. To reach this goal, the course will include a lot of practical training around issues and examples in case studies, in order to achieve this. This means learning objectives will include the levels of Understanding, Remembering and Applying. Thinking about your course as a flow of objectives based on Bloom’s levels of learning is a crucial part of the design process. The end result will be very different than a PowerPoint like course on SAM trying to explain why it’s a better process and approach than ADDIE.The goal of this post was to help you create better learning objectives. We have learned about Bloom’s levels of learning, so now I can offer you some tips and tricks in writing (Applying level) objectives. The most difficult part of writing learning objectives is determining the learning stages and choosing the right levels of learning. After that, it’s just putting it into words and there are many resources available to help with that. The criterion of acceptable performance. Mager defines a learning objective as a “…..description of a performance you want learners to be able to exhibit before you consider them competent.” And it’s important to note that an objective is not about the process of learning. An objective describes the expected outcome(s) of learning. Let’s start with the verbs. Each of Bloom’s learning levels has a list of associated verbs. So after you have selected the proper level, you will pick the right verb or verbs (this list is not exhaustive). In the example given above, one of the first objectives is at the analyzing level: The participant is able to analyze ADDIE in a way so that he can identify the pros and cons of this method. I used the verb analyze, which is measurable; it can be tested with a specific assignment. TimeYou can’t expect immediate changes after a single training. PilotsA way to test out the new method on a small scale. ToolsMaybe they need a different authoring tool or project management tool to achieve the goal. Consider the value of adding conditions and criteria. What is appropriate for the level of the learner? How to be sure to connect to the learners’ goals (or a curriculum). Ensuring the course is realistic and can be completed. Creating an interesting and engaging course for learners. Even still, there is more to cover – such as how to choose the best delivery and type of learning for the specific learning need, which includes the course design, presentation and much more. This will be addressed in a future blog.